Do today's children still learn what a "marionette" is? 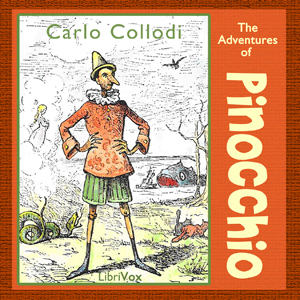 The beloved story of Pinocchio may represent a last lingering picture of a world not dominated by plastic or electronic toys. Pinocchio is a puppet made from a piece of wood that curiously could talk even before being carved. A wooden-head he starts and a wooden-head he stays - until after years of misadventures caused by his laziness and failure to keep promises he finally learns to care about his family - and then he becomes a real boy. For those who have seen the Disney movie the cast of characters will be familiar, from the Talking Cricket (who acts as his conscience) to Lamp-Wick, his partner in truancy and having heedless fun. The Adventures of Pinocchio is extraordinary. I chose it because the narrator had a good review and I was fed up with stories being spoiled by questionable readers. I like quirky, I’m fine with bland, But I hate poor recording quality (beginning of Anne of Green Gables) or impenetrable accents (one or two chapters of Madame Bovary). Mark Smith of Simpsonville South Carolina is without doubt an performance artist. Great sound levels. His reading is consistent and believable. He does characters! They are great and hilarious! This is a great dark uncanny psychological story (not considered suitable for kids in this day and age but....?) delivered by a great human being who clearly understands everything he is telling you about. he has a great voice. Thank you Mark Smith.